Will Instagram video boost Twitter's Vine or eclipse it? After nearly a week of speculation, Facebook announced today that Instagram, its popular photo-sharing service, now supports video. "It's where people come together to engage with each other," said Instagram co-founder Kevin Systrom, in a press event at Facebook's corporate offices in Menlo Park, Calif., which was also webcast. "It's not just about photos. It's about staying connected ... 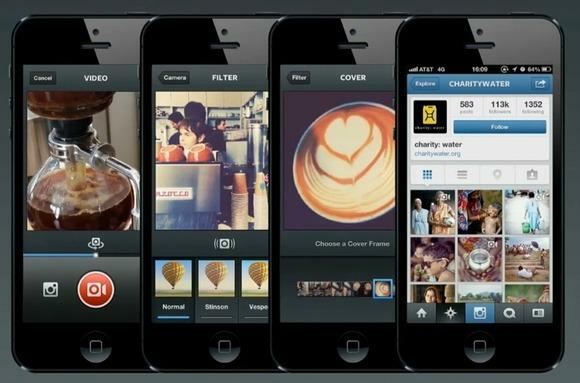 It's everything we know and love about Instagram but it moves." And now, Systrom is hoping Instagram's 130 million users will use video to stay connected. Starting today, users will be able to take and share video, which can be as short as three seconds or as long as 15 seconds, on Instagram. They'll also be able to stitch shorter videos together until they add up to 15 seconds. Users, who will see videos mixed in with photos as they scroll down on Instagram, also get an editing tool and 13 video filters to improve the look of their videos. "On Day One, 130 million people will have access to recording life's moments as they happen in real time," Systrom said. "You can capture a lot in 15 seconds. It's not too short to constrain your creativity but not so long that it holds up your download." Another feature in Instagram's video offering, dubbed "Cinema," stabilises the images, doing away with shaky, nausea-inducing videos. "Indeed, this is a good move for Instagram," said Brian Blau, an analyst with Gartner. "They are adding another media type as a pillar to Instagram, and that will give Instagram users more content creation options when they are sharing within their social network." Instagram video is supported on iOS and Android, and can also be viewed on the Web. Systrom noted about 16 billion photos have been shared on Instagram since it launched in 2010. That could spell trouble for Twitter, which recently launched its own video service, called Vine, which enables users to shoot and tweet six-second videos that roll on a loop. "Vine has just lost its uniqueness and could lose future growth," said Patrick Moorhead, an analyst with Moor Insights & Strategy. "If Instagram delivers, this will limit Twitter's full growth potential." However, Blau said Facebook's move into video with Instagram could be seen as a "me too" kind of move. "But [Instagram] also has extended the basic video features that you see in Vine by adding filters and image stabilisation, and that will make their video a bit more creative and compelling than what you see on Vine today," he added. "But I actually think this will help Vine. The whole idea being that Facebook/Instagram is now out in the market promoting short-form video content creation with simple-to-use tools that will help also drive people to check out Vine, as well." Blau also noted that Instagram is still bigger than Vine since it can reach more people because of its connection with Facebook. The social network bought Instagram last year for US$1 billion. This article, It's true! Facebook unveils video for Instagram, was originally published at Computerworld.com.